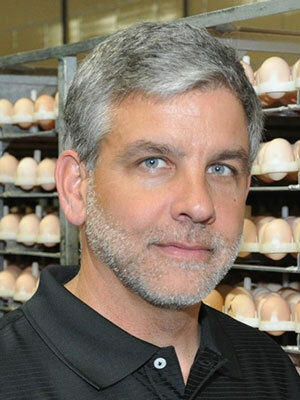 Philip A. Stayer, DVM, MS, ACPV is Sanderson Farms' Corporate Veterinarian as he has been for the past 14 years. His primary responsibilities at Sanderson Farms include overseeing live bird health programs, biosecurity and animal welfare with the help of two other live production Staff Veterinarians to cover all the flocks from Texas to North Carolina. He earned his DVM from the University of Tennessee and MS in poultry pathology from Mississippi State University. One U.S. commercial broiler producer reported broilers hatched as unusually 'white chicks' in 2005 with recurring incidences. Several diagnostic laboratories characterized the histological lesions, virus identity and serology associated with 'white chick disease'. These laboratory reports as well as epidemiological links will be discussed.